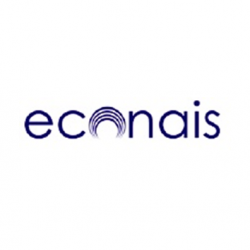 Econais Inc. is an exciting global leader in fully integrated miniature wireless modules helping to get the world's devices onto the internet and into the Internet of Things. Come join a team of creative, energetic, and enthusiastic engineers developing the next-generation software platform for the Internet of Things. We are looking for talented individuals who enjoy creating software for microcontrollers, prototyping concepts, investigating new technologies, and ultimately delivering high-quality products. As core team member, you'll be responsible for designing, enhancing and maintaining software across a range of Econais products including WiSmart modules with a clear focus in the Internet of Things. We are looking for an engineer who'll make intelligent compromises between several contradictory factors such as ease of use, performance and efficiency. BS CS/EE/CE or relevant work experience (MS is a plus). Preferred Experience: UART/SPI/SDIO interfaces, experience with ARM microcontroller cores, debugging skills with JTAG, oscilloscopes, and/or logic analyzers, embedded RTOS, and/or Power Management, experience with board bring up. The candidate will work in our Greek offices in Patras.